The world produces more than eight billion gallons of wine each year (including those Algerian reds that taste like lighter fluid). All fifty American states, including Alaska, have thriving local wine industries. The eastern end of Long Island now looks like the Médoc, and one reason that the European Union is suffering its debt hangover is because of the huge subsidies that are paid each year to growers who produce wines that no one wants to drink. But perhaps the biggest success of the industry has been to ferment demand for an oversupply of these barrels. Wines have evolved into that most delectable of American tastes: an asset class. The châteaux of Bordeaux are best understood as option houses, existing to serve up financial swaps and derivatives as much as their enchanting blends of Cabernet Sauvignon and Merlot. The street value of a year 2000 case (six bottles!) of Lafite-Rothschild is about $20,000. In fine wines, you can have your subprime and drink it, too. The presence of so much Bordeaux wine washing around Chinese treaty ports pushed my curiosity about the direction of the elusive “wine market.” Through bike rides across the Loire Valley, and meetings in places like London and Burgundy, I encountered an industry that has more the bouquet of the petroleum standard, West Texas Intermediate, than of those charming Napa haciendas that get written up in Food & Wine. IGW (Investment-Grade Wine) is immune from the laws of supply and demand partly thanks to the genius and perseverance of Robert M. Parker, Jr., a former lawyer from Monkton, Maryland, who managed to transmute the world’s glutted wine market into something as easy to understand, and thus invest in, as municipal bonds rated by Standard & Poor’s. Parker, 64, who is officially the editor and publisher of the Wine Advocate magazine, has been described as having “the nose of a dog.” He is said to have tasted some 200,000 wines in his peripatetic career and boasts to his friends that he can remember each of the wines and the scores that he gave them on his scale of 50 to 100, the latter number representing perfection. Neither Chinese mandarins nor traders from Goldman Sachs would be caught dead drinking anything less than a 90, and those now selling participations in listed fine-wine investment funds need to do little more research than thumb through Parker and scoop up wines listed between 95 and 100. Parker started out as a wine consumer advocate, a Ralph Nader of corks, there to warn gullible Americans about the sleazy French châteaux that were unsafe at any sip. By securitizing the wine industry with his easy-to-comprehend scores, Parker enabled la place de Bordeaux, the secondary wine market that buys from the châteaux, to cash millions from futures that he helped to legitimatize. In part thanks to Parker’s scoring system, en primeur wine (new vintages still aging in barrels) is sold off each spring to investors and merchants, who pay in advance and only collect their bottles two years later. These sales are the IPOs of the wine industry, and prices are set by Parker’s nose and Asian front money. In the wake of Parker, numerous online trading platforms have developed, including one in London, ‘Liv-ex: The Fine Wine Exchange’, that could evolve into a legitimate futures market, like those for soybeans and sugar. For the moment it only matches spot buyers and sellers of fine wine, and benchmarks prices with its Liv-ex indices, which allow investors to see that fine wines were off 12 percent in 2011, but up 121 percent in the last five years. What keeps online traders from expanding the reach of their exchanges is the French word provenance, which is a calculation of a wine’s pedigree in the after-sales market. Parker or Wine Spectator can tell you that a 1982 St.-Emilion grand cru rates a 95-point score. But a connoisseur will not buy a bottle in the back-vintage market until he or she knows under what conditions the wine has been stored during the last thirty years. The ideal cellar has a consistent temperature of about 54 degrees, humidity of 60-65 percent, and neither vibration nor light. As charming as are those open racks in modern kitchens, they are death to fine wines. Another provenance black hole is China, which not only pays top prices for anything decent with a cork, but which has devoted familiar energy and resources to counterfeiting the best Bordeaux. As with Vuitton luggage and Rolex watches, a few Chinese wine masters have matured the fermentation of fraudulent vintages. An ersatz bottle of Château Petrus 2000, if undetected, could be sold for $5000. Although some of the world’s finest wines are made in California and Burgundy, investment hot money remains fixed on Bordeaux, which established its classification system in 1855 and, in that French way, decided it did not need to rush through an update in the intervening years. The problem with investing in Burgundy is that the vineyards are Byzantine, as a result of French inheritance laws and other arcane transactions, making it hard for inexperienced outsiders to know exactly what wine they are buying. The same estate might have dozens of producers, all bottling their wine with similar labels. In Bordeaux, all you have to do is pony up $1000 for a Château Haut-Brion 2000, and you will have something special now or in twenty years. 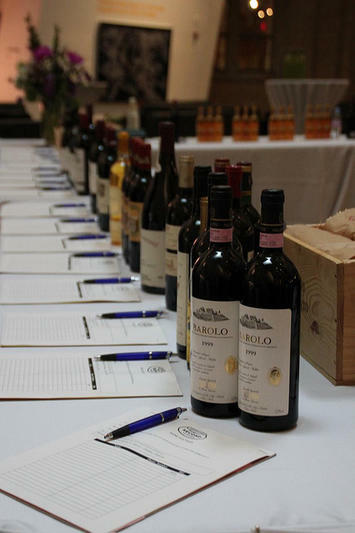 Extraordinary wines made in California routinely place higher than the great French vintages in blind tasting contests. The most celebrated was the so-called “Judgment of Paris” that in 1976 humiliated the French, when the Californians ran the tasting tables. But Californian wines are not where the serious investment money is thrown, in part because it’s hard to get allocations from the exceptional vineyards, which prefer to place their bottles in the hands of Hollywood A-listers or San Francisco divorce lawyers, as opposed to Hong Kong middlemen or London hedge funders. Given that there is roughly $4 billion invested in fine wines around the world, does the top tier taste any better than that bottle of Mateus you bought to impress your high school girlfriend? Living for twenty years in a Swiss winemaking village, I can attest that at least our locally consumed wines have gotten dramatically better. When we first arrived in this region not far from Beaujolais, the Gamay and Chasselas tasted like something between astringent chalk and raclette cheese. Now there are interesting Pinot Noirs and Chardonnays, although I doubt Parker ever will put a number on the local Gamaret. Sadly, one side-effect of the investment capital swirling around grapes has been to “Parkerize” tastes and wines, to increase scores and returns-on-capital. I am sure Parker the oenophile loves the profusion of boutique winemakers that are flourishing around the world. But Parker the ratings agency has inbred his numismatic personal tastes onto an industry desperate for bankers’ acceptances. Flickr photo of a fine wine auction by LexnGer. Matthew Stevenson is the author of Remembering the Twentieth Century Limited, a collection of historical essays. He lives in one of the wine regions of Switzerland. His next book is Whistle-Stopping America. Submitted by ruzzelparker on Tue, 09/16/2014 - 08:34.
swmobilestorage.com ) is definitely a smart idea as well. Submitted by allansoules on Tue, 03/06/2012 - 20:05. What I don't understand about wine is how to expect it to retain value when you are dealing with a perishable asset class? I can understand if you are dealing with futures of items like in commodity markets, but wine is often bought the same way you would any other market investment, as in, its bought and sold as if it will last forever (like shares in a corporation). How exactly does one go about valuing a bottle of wine? You can argue supply and demand, but if I were to open a vineyard in the Bourdeaux area of France and grow some grapes and only make one bottle of wine, by the laws of supply and demand my bottle of wine would be the most valuable one on the market because there's only one!